A primary school in London is now feeling the benefit of 21 custom safety pads with a difference... they have lids! 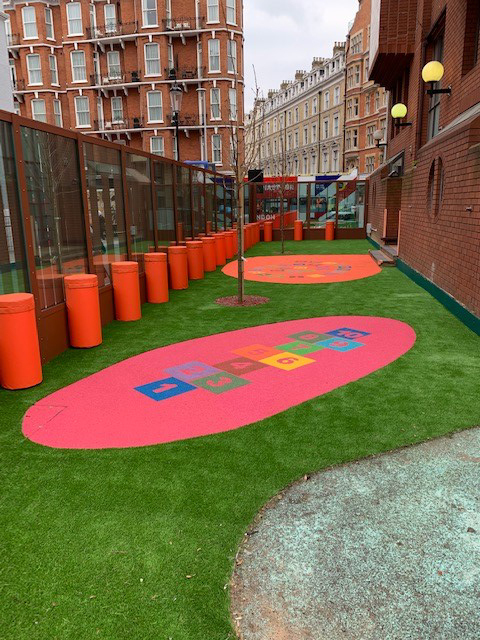 Used to completely cover bollards in the South Kensington play area, they not only make the area much safer for playing children, they also add a splash of vibrant colour with their orange rip stop covers. The pads and lids are held in place with robust Velcro fastenings and can easily be kept looking fresh with a warm soapy water wipe down. Prior to placing the full order, our customer requested a sample pad be manufactured to their exact specification. This type of pad was a first for Birchwood Trading and we are delighted with the end result. If you have objects in your playground that could cause injury on impact then please get in touch.